HEXUS has teamed up with Gigabyte to give one lucky reader the chance to win a high-performance U2442F Ultrabook worth up to £1,000! This elegant Windows 8 machine comes equipped with an Intel Core i7-3537U processor, dedicated Nvidia GeForce GT 650M graphics and a fast dual-storage configuration comprised of a 128GB mSSD and a 750GB hard disk. Factor in a 14in, 1,600x900 display and a backlit keyboard and we're sure you'll agree: the U2442F is an amazing prize! All you need to do to be in with a chance of bagging this Ultrabook is answer the following simple question, and don't forget, you can increase your chances of winning with a free second entry via Facebook. Hint: you can find the answer on Gigabyte's official product page. The competition winners will be picked at random from all eligible entries that arrive by midnight of the closing date, August 27, 2013. 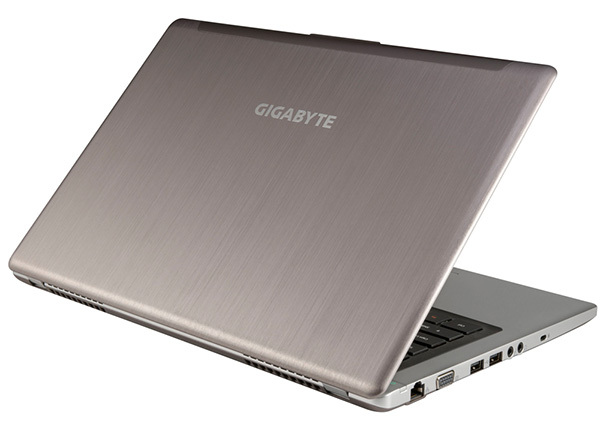 The prize is a Gigabyte U2442F-CF2 Ultrabook.